One of the greatest guilty pleasures Jeff and I share are the chips and queso from a local dive bar down the street from us. Even though it’s not technically on my diet anymore, I’ve cheated a handful of times in the last few months just because it is that one thing that is truly too good to give up. Because of this, I wanted to make a version of that queso that was endo friendly and I could easily make at home. This is what I came up with, and Jeff gave it rave reviews. We gobbled down two plates while we binged The Good Fight this week, which definitely added to the “guilty pleasure” factor we love about queso. It really does taste like the real thing, and even has that stretchy cheese quality thanks to the starch from the potato. 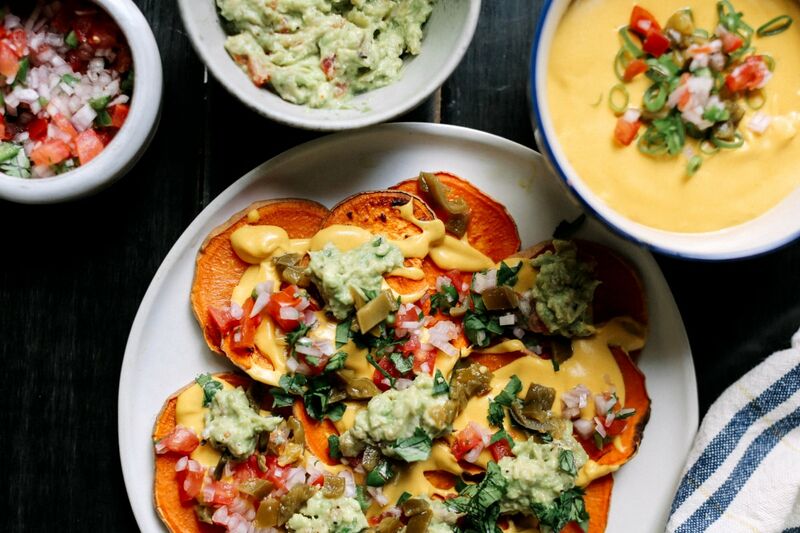 You can serve it with chips or veggies as a dip, or you can make the deluxe sweet potato nachos I’ve shown here.